Jay is live every Wednesday at 4 PM Pacific time. Listen to the program at KRBNradio.net, on our android app (player.FM) or on the telephone by dialing 646-721-9887 and you will be welcomed by a short automated message explaining that if any time you would like to join the conversation, simply press "1". Give it a try… It's amazing how easy it is and how fun it can be to talk on a talk show. Short of visiting a town hall meeting or the Council chambers, this is the easiest and most reliable way to find out what's going on in Lane County and to express your opinion. 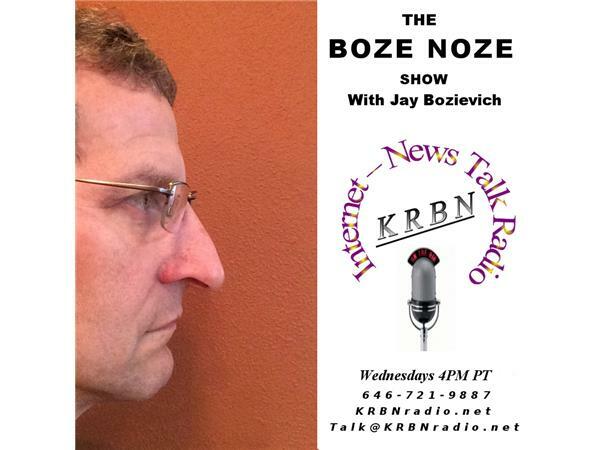 We do need your help however, Lane County Commissioner Bozievich and the people that bring you The Boze Noze Show (KRBN Internet news talk radio) are doing this on a volunteer basis and is not without expenses. All that we ask in return, is to hit that "like button" and tell your friends about the show.